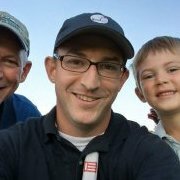 Do any of you have a weight lifting/exercise routine that is tailored for golf? For example exercise focused on extending range of motion, strengthening specific muscle groups that improve swing speed, etc.? Well that’s kind of the point of SuperSpeed Golf that’s currently being tested by a number of us. It’s $199. Besides the sticks you get all kinds of help including warm ups and expert advice from their trainers. The program is more about training the brain than the body but there is certainly a golf specific training element to it. If you don’t want to spend cash the Swingman Golf web sight has several stretches and exercise protons on it. I know that there are Golf specific workouts available on you tube as well. I can’t speak to how effective they are though. 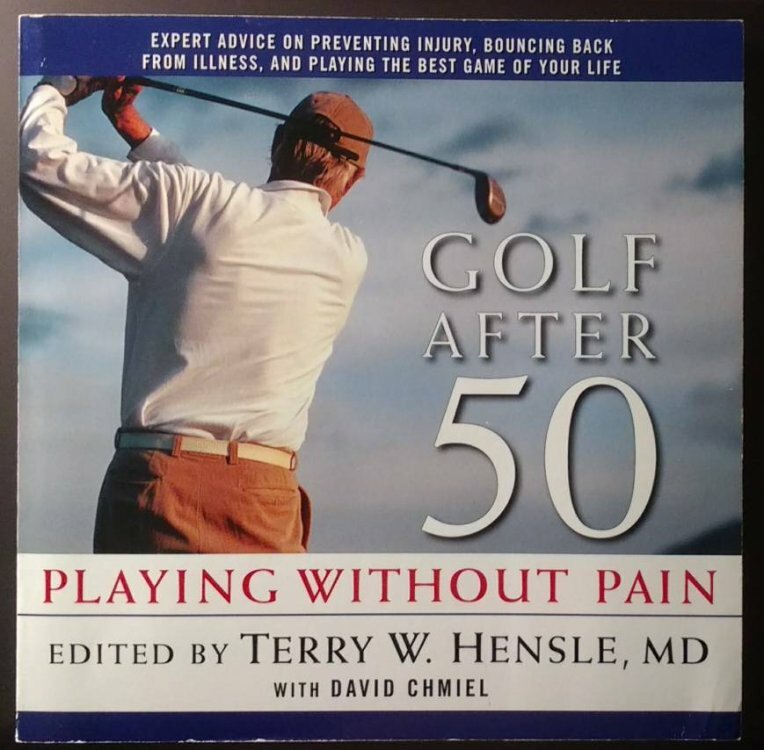 Fix, I own this book and while I don't use it that often since my fitness routine is nearly non-existent right now, if you're looking for a good base of golf specific exercises, this is a good spot to start. Good news, it's around $5 on Amazon. EDIT: I also recommend some kind of yoga/stretching plan as well. For me, that's DDP Yoga, which I need to get back into in the new year just for general fitness. This is a good question and there’s still some debate around whether there is such a thing as sport specific training. I lean towards the aspect of there isn’t. Getting stronger is the best way to train along with practicing your sport. Also Fix, not to pick on you, but this thread probably would have been better in the MGS University board than here. Getting fit has to help. Not denying getting fit helping. Being in shape for any sport is never a bad thing. I’ve gone thru my weight loss journey a couple years ago and have been bouncing between periods of caloric deficit, surplus and maintenance cycle over the last 2+ years along with switching routines from bodybuilding type training to powerlifting and some in between. The changes have definitely helped to include some ss increase...I believe you saw some with your fitness journey and prior to the superspeed training. Getting under a barbell and/or hitting the big 3-4 lifts tend to get a bad rap and many trainers and various level of athletes get scared of weightlifting. I think many see JT, D.J., Brooks, Lexi and others doing certain exercises using bosu balls or cable machines to do some exercises that resemble golf movements and think these will make them better or increase speed. They forget they are also doing the big lifts. This is where the debate comes in about “functional exercises or sport specific exercises” and whether they are useful or not. if you go into the university section you'll see quite a few threads from me on golf specific routines. CrossFit and any other type exercise routine that builds strength in your core muscles while also maintaining your flexibility will greatly benefit most golfers. While strength, endurance, flexibility and body composition improvements will not make you a better Golfer those components will set the conditions for you to become a better golfer. More importantly they will make you healthier and more confident. If you have an OrangeTheory fitness studio in your area I highly recommend their fitness program. It is designed to build usable fitness through exercise that combines both aerobic and anaerobic activities. I was thinking more along the lines of maintaining or increasing range of motion and I should have mentioned exercises for the 55+ age group. I consistently perform a pre-game stretch routine, but mostly in hopes of not throwing my self out of whack. What I'd like to find are some exercises that help with upper body rotation; fighting natures on-going effort to reduce us to stone. Also, WTH does "Fix" mean? I see a handful of folks using this in replies. Fix is short for Fixurdivot. I really think yoga is what you are looking for. It will help become much more flexible and give you a better range of motion. And even though it doesn't use weights, it builds muscles and improves balance. As always, with any exercise routine, start slowly and give your body time to adjust. It's a well illustrated, common sense guide to many facets of health and fitness and how each pertains to golf. Each section is written by a doctor. One of the more useful sections is "Strength and Flexibility Training" which contains a number of stretches and exercises to increase your "golf fitness". Oh and also agree with SteddyGolf above - overall fitness and well-being combines all of stretching and mobility, plus balance and movement, plus strengthening and conditioning ... plus aerobic exercise. I also believe sport-specific training is a "thing", but - best done under the guidance of a qualified trainer who can guide you in using the proper form, to get the desired benefit and to reduce risk of injury or strain. For example, golf is a highly rotational movement and so specific exercises that can increase your ability to rotate back and forth around your spine .. and help to enhance your ability to maintain that fabled spine angle throughout the swing .. can help your swing and your game. I’m starting a group starting in New Years for these purposes exactly! I know there’s some people doing the SuperSpeed course which is $199. My plan for January will be $30 per person. If that sounds like something you’d be interested in, shoot me a message and we can go from there!